How do you choose the right mobile apps company for your business? Today, business goes hand-in-hand with new technologies and the Internet. Many companies use a variety of software solutions to improve and modernize their work. One of the most commonly used software products is a mobile application. The first step toward implementing a mobile solution to meet your requirements is to find the best mobile apps company to turn your idea into a working, reliable and convenient mobile app. Whether you are a new company or enterprise business, your goal is the same – finding a professional mobile apps company. A high quality mobile application requires a broad team of professionals to successfully transfer ideas into the digital world of mobile applications. To get the best results, you need to look for a reputable and professional mobile apps company. You could give the task to freelancers, but let’s be honest: a mobile application developed by one or two people is not likely to be effective, secure and seamless. That kind of functionality can only be achieved by a team of mobile apps experts. So, how to start selecting a mobile apps company? Purpose of your application The most important thing that will be asked by the mobile apps company is what is the purpose of the app you want to create. Mobile apps company experts must be familiar with your idea so they can successfully digitize it. What features you want your app to have The next important step for the mobile apps company is to understand all the functionalities you want the end product to have. It is extremely important to know exactly what you want the app to do and to explain it to the mobile apps company well, otherwise there may be unnecessary changes in the app. Do you want your application to work with other software? Today, when the world is dependent on the Internet, many different software products unite their work and are designed to interact with each other to facilitate a better user experience. If you want a mobile apps company to design your app so it has a connection with other software, you must mention it at the beginning of the workflow. Budget Hiring a mobile apps company will cost you money, and you’ll need to be aware of how much you’ve decided to invest. Since building mobile software is not an exact science, everyone that has decided to invest money in creating such a product will have to specify the end price with the mobile apps company in order to get a clear idea of whether they can afford their services. If you do not have a clear idea about your future mobile application and you do not understand the above-mentioned points, do not worry! Professional mobile apps companies have project managers who can explain all the factors that go into building your future software product. A team of professionals One of the most important things when choosing a mobile apps company is the level of professionalism of its experts. 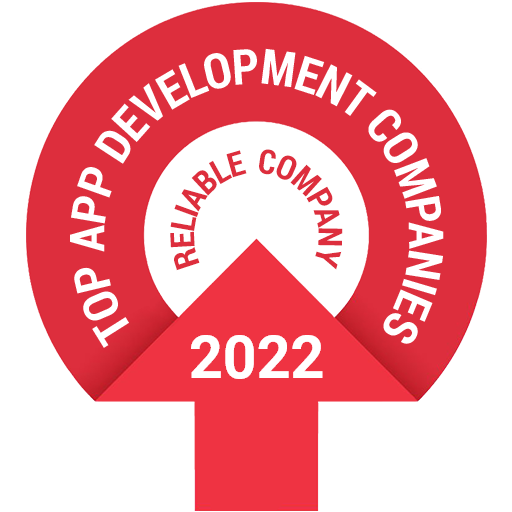 When proving the development of your software, you need to look for a mobile apps company that has highly qualified developers who, through the latest IT techniques, turn your idea into a quality mobile app. Portfolio Each professional mobile apps company has a portfolio in which it presents its implemented projects. We encourage you to visit the section of existing software products for customers of the particular mobile apps company and go through them. Customer reviews You can estimate the company’s level of expertise and quality by both the projects implemented and the testimonials of its customers. Every good mobile apps company has a customer feedback section. Visit it and see the reviews that partners of the selected mobile apps company have left. Affordable prices In the vast sea of different IT services, there is always a big difference in demand for the same end product. We encourage you to look for a mobile apps company that offers affordable prices, so you will be able to invest the amount you spend on your mobile app in something else that is indispensable for your business venture. Zibtek – mobile apps company at affordable prices. Zibtek combines professionalism with fair prices. Our philosophy is to use the skills of some of the most talented programmers from around the world by coordinating work with US-based project managers. Thus, communication between developers and end-users is fast, clear and seamless. Zibtek’s team has a wide skillset: Nodels, Ruby, iOS, Python, PHP, .net, Java, Drupal, Android and others. Through the talent of our programmers, we are able to turn your ideas into a working and secure software product. Take advantage of a mobile applications for your business! Contact us and we will offer you the most optimal mobile application option to grow your business further, making it easier for your workforce, customers and employees.